Published May 26, 2015 at 1600 × 900 in President Faust visit to Botswana 02. 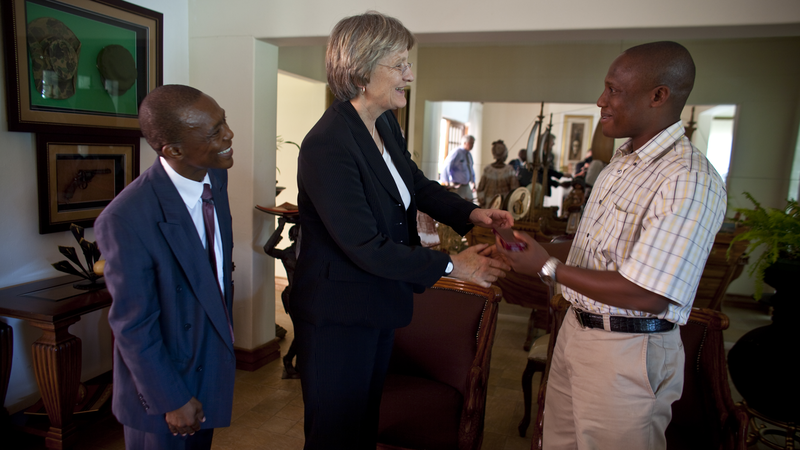 In the village of Mochudi, 20 miles northeast of Gaborone, Faust meets with Kgosi Kgolo Kgafela (right), the tribal leader, as Joseph Makhema (left), Project Director of the Botswana–Harvard Partnership (BHP) looks on. Mochudi is the site of several clinical trials being conducted by the BHP.